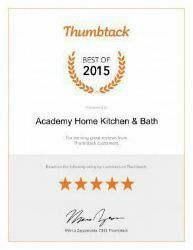 Academy Home Kitchen & Bath Inc.
At Academy Home Kitchen & Bath Inc., Our goal is to not only help you design your dream kitchen, but to make the process easy and enjoyable for you. We are a full-sales and design company with a wide range of experience. We can help you with all aspects of design for your new kitchen, bathrooms, crown molding and all other interior trim. Our excellent reputation and long list of satisfied clients attest to our superior design skills, attention to detail, clear communication, honesty and integrity. Just ask for our client reference list. Kitchen countertops are hard-working surfaces that more or less act as the kitchen's 'workbench'. However any functional similarity with their garage counterparts ends when you consider the countless end of material choices that are available. There's probably no other surface in the house, other than flooring perhaps, that matches the range of product types and styles available for kitchen counters. Years ago you had a few choices for countertop surfaces. In case you haven't been paying attention lately, the world is practically your oyster when it comes to kitchen countertop selections. Today you have a vast array of materials to suit your style and taste. Products range anywhere from glass to stone and recycled paper to concrete. So where do you begin? Give us a call and we can walk you through any questions or concerns and find the perfect countertop for you and your project. We’re here for you, Give us a call!!!! Overall am very pleased with my granite counter in my kitchen. Would highly recommend to friends and family. Academy Home Kitchen & Bath services Lee County, Collier County, Charlotte County. 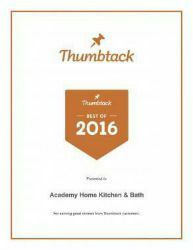 All work performed by Academy Home Developments Inc.
Academy did an whole house remodel for us in 2015. Being new to Florida we were/are "old school". 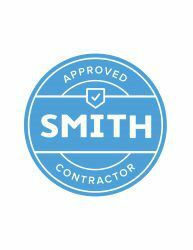 It was frustrating searching to find a contractor who was respectful of listening to our ideas, wishes and wants and not just telling us what "they" were going to do, but Rich (owner) listened and gave us what we asked for. While we did not move walls we took a couple small ones out, put tile throughout the entire house making it look like a hardwood floor, gutted 3 full baths rebuilding them with glass showers by My Shower Doors and wall mount vanities. Shower tile looks great. Add in Diamond cabinets for kitchen and pantry with every base having rollouts and both upper cabinets as well as open shelves and granite. The place looks great! The job was affordable and reasonable without breaking us. Thank you. They finished the job very close to the original time frame so for that we are also grateful. In the 10 months since they finished I'm pleased to say we did not need to call them back to 'tweek anything' it's a job well done. Academy installed new cabinets in my laundry room and updated the same in my kitchen. The quality of the Kitchen Craft cabinets is excellent ,and Rich Dantona the owner will make sure the job is completed to his customers satisfaction.